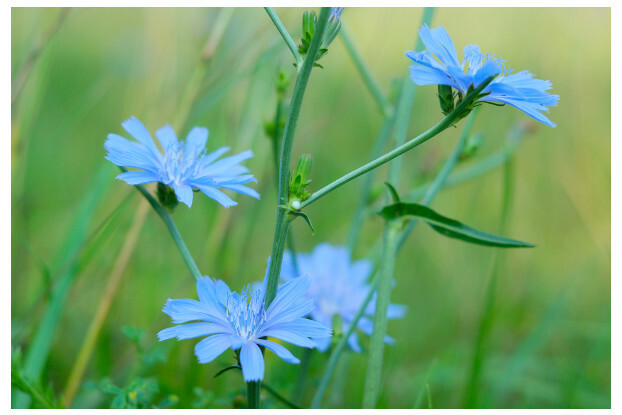 Forage chicory is a broadleaf perennial forb native to central Europe. It produces succulent leaves that offer palatable and nutritious forage for livestock with digestibility and mineral content greater than alfalfa. It’s especially beneficial for sheep and goats where it helps to control internal parasites. Prefers fertile, well-drained soils and grows up to six feet if left ungrazed. Forage chicory is an excellent summer forage producer, but needs a 30 day rest period between grazings for best results. Partners well with cool-season grasses and legumes.